What a place to call home! 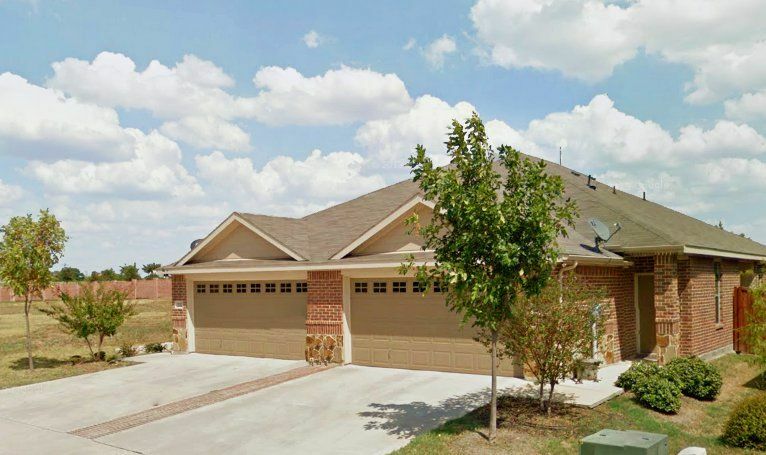 Built in 2010, this home has three bedrooms, two full baths and 1225 square feet! Enjoy quality architectural details and amenities such as 10-ft ceilings, arched doorways, high quality carpeting, ceiling fans, designer-neutral paint, between-glass custom mini-blinds, bronze Victorian fixtures and hardware. Beautiful wood laminate flooring in the kitchen, as well as custom ceramic tile counters and backsplash, trendy black appliances, built in microwave, and breakfast bar overlooking the light and bright living and dining areas. All bedrooms feature walk-in closets, and Master has private entrance to spacious fenced backyard. Also conveniently features a separate full-size utility room, and two-car attached garage. A Must See! Please contact JoAnn Campbell for a showing of your new home!